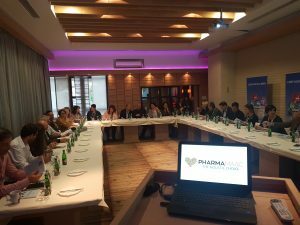 For the third year in a row, Pharma Maac organizes a winter gathering of epidemiologists in Bosnia and Herzegovina with the aim of exchange of knowledge and information, good and quality discussion and new solutions in the field of immunization. This time we can proudly say that we have achieved our goal and made this gathering traditional. We have created an atmosphere in which it has become possible to jointly make decisions, share new information from the immunization field and be part of a team that returns confidence in the vaccination of children and adults. We had the opportunity to introduce a new quadrivalent protection against the flu, and we have again become the champions, because we are definitely the first in the region to make a new vaccine available to our population, with a view to better and more comprehensive protection against influenza and complications that accompany the flu. Our annual gathering always makes available and novelties in the field of travel immunization because it is very important to provide our passengers with all the necessary vaccines to protect themselves against dangerous contagious diseases in the distant parts of the world. It’s great to once again show to yourself and others how good and quality team in our company can do great things in a short time with a good organization. As in previous years, Pharma Maac team have participated in the Sarajevo Half-marathon 2018, one of the most important sports events in BiH. Whether it’s a Fun Run race of 4km, a relay half marathon or a major, half-marathon race, in each of them Pharma Maac team was present and once again demonstrated its consistency and dedication in the promotion of health and a healthy lifestyle. The result was in the second plan, but the good mood, socializing and entertainment were what will remain memorable. More than anything, once again we have shown that our company stands firmly on the road that is marked by healthy habits and a healthy lifestyle. b) aims to enhance customer satisfaction through the effective application of the system, including processes for impro-vement of the system and the assurance of conformity to customer and applicable statutory and regulatory requirements. 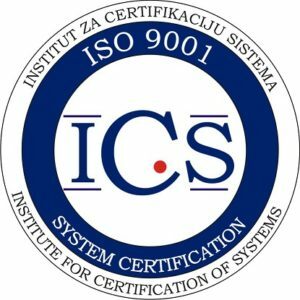 We are following our mission – Pharma Maac is ISO 9001:2015 certified! With Bosnia and Herzegovina facing constant decline in birth rate, the Pharma Maac Company decided to turn to pregnant women and mothers and to make this most beautiful part of life more enjoyable and relaxed. Following the „Wellion First Diabetic Clinic on Wheels”, we are proud to present another socially responsible activity of the Pharma Maac Company with gift boxes for pregnant women and new mothers. The gift boxes will be distributed through gynecologist’s offices, childbirth classes, and maternity hospitals throughout Bosnia and Herzegovina. And as the saying goes: “there is a more lasting pleasure in giving than in receiving!”, our satisfaction will be even greater if we manage to delight moms-to-be and bring smiles to their faces. In April, an observation was officially launched – Clinical effects of dietary supplementation in osteoarthritic changes. 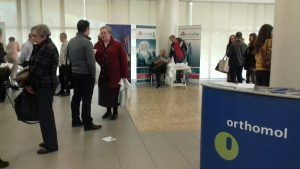 This post-marketing study includes 9 best Serbian orthopedists from 3 centers: Clinical Center of Serbia, Orthopedic Hospital Banjica and Clinical Hospital Center Bežanijska Kosa. Each doctor will monitor five patients for 4 months and based on the parameters of the Womak scale will have the opportunity to see the effects of the use of Orthomol arthroplus on the pain and mobility of the knees of these patients. Wonderful news that will bring our product on the top of market, where it belongs. In the period from March 25 to April 8, one of the largest socially responsible projects organized by Pharma Maac was implemented. 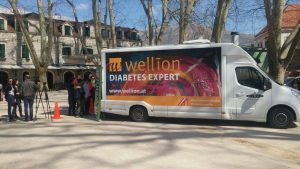 In cooperation with the Austrian premium brand Wellion, Pharma Maac team performed free blood glucose measurements and diabetes counseling in 20 cities in Bosnia and Herzegovina. The caravan went from Sarajevo, followed by Mostar, Ljubuski, Trebinje, Livno, Bugojno, Travnik, Bihac, Cazin, Prijedor, Banja Luka, Doboj, Tesanj, Tuzla, Brcko, Bijeljina, Zvornik, Gorazde, Foca and, Zenica. 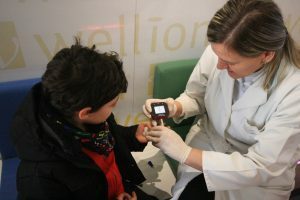 The data of nearly 7,000 measurements, 510 donated Wellion blood glucose meters and over a hundred newly discovered diabetics speaks enough of the extent and importance of the project. Unfortunately, once again it has been confirmed that awareness of diabetes as the most widespread disease of our age is at a very low level. This project was just about to make changes. 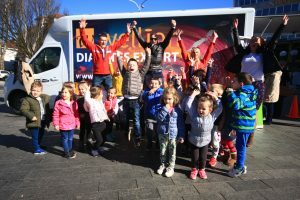 We are extremely proud that this project has come to the great interest of both the media and local communities, of whom we certainly expect support and partnership in the mission of spreading awareness and preventing diabetes. Let’s do it for our children. Let’s do it for their future. Pharma Maac is firmly committed to, in accordance with its capabilities, stands at service to those who need help. Immunization is a very effective preventive measure of protecting human population from various infectious diseases. The following diseases have been effectively prevented through history: diphtheria, yellow fever, rubella, tetanus, rabies, mumps, polyomyelitis, hepatitis B and others. Everyday we are confronted with controversial thoughts whether to be vaccinated or not? Parents’ decision not to vaccinate their child is a decision to put their child, but also other children, at risk of illness from serious infectious diseases. Nowadays, when we are daily affected by thousands of information and disinformation, some of them unverified, superficial or scientifically unfounded, it is not easy for parents to make a decision. The low percentage of children involved in obligatory immunization is troubling, which certainly requires better information for parents, teaching staff and even health professionals about the importance of immunization. It is considered that these data are worrying both for the health system and the society as a whole, and that we all have to take responsibility and restore confidence in the immunization program. About this and lot of other themes has been discussed on Second Winter Epidemiology Meeting which has been hosted by Pharma Maac between 17th and 19th of November 2017. 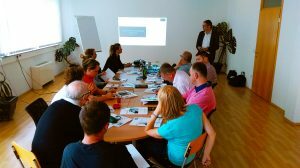 With support from Institute for Public Health FBiH and Public Health Institute of Srpska, event hosted relevant epidemiologists, doctors and international health consultants. Among other, participants have discussed about global vaccine market, antirabies protection, significance and effectiveness of vaccination against tuberculosis, benefits of introducing hexavalent vaccine. 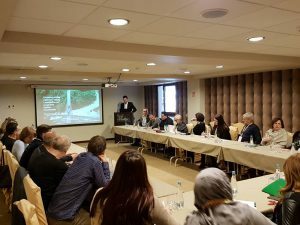 We are extremely proud that we were able to organize this unique meeting, and to host its participants. New company corporate design doesn’t go without a new cooperate image video. To simplify our complex business Pharma Maac have decided to choose digital way of communication and to create an Image video for effective and efficient presentation of our core business. We proudly presents our new Image Video. Sooner or later the time comes when your corporate identity is no longer up to scratch. Corporate identity is one of the most important aspects of a brand. It represents who you are and what you have to offer. Recognizing the time when your corporate identity needs rejuvenation may seem difficult, but in the life of a business various moments arise that lend themselves very well to a change, or even necessitate one. Expansion, internationalization, or changing markets are reasons to rebrand. To this end, the Pharma Maac family has been growing by opening subsidiaries in the region; taking over a health food retail store and entering into the food and consumer goods sector also created a new market. It was time to reposition and define a new concept. What does Corporate Identity mean to us? Corporate identity is the manner in which corporations, firms or businesses present themselves to the public. This applies equally to customers and investors, as well as to employees. Its primary task is to maintain this identity in agreement with a corporate philosophy and with an aim to facilitate business objectives. Typically, it is expressed visually by way of branding and the use of trademarks, but also as a manifestation of the company and its employees’ behavior. It also includes aspects of the creation of brand awareness, brand design, advertising, public relations and the like. Initially, this amounts to adopting a corporate title, logo and supporting visual tools commonly assembled within a set of established guidelines. These guidelines, moreover, govern how the corporate identity is applied. This includes sanctioned corporate behavior and corporate design issues such as color palettes, typefaces, page templates and other facets of corporate representation, including principles governing corporate communication both in digital and non-digital formats. What does Corporate Behavior mean to us? The term corporate behavior, as part of a corporate identity, refers to the behavior of an entity to achieve a corporate objective. Thus, corporate behavior is the actual, demonstrative behavior and conduct of a company; it is the perceivable activities by stakeholders, management and employees, in which credibility plays a central role. A company is credible only when positive behavioral principles are put into practice and are exhibited within the context of a corporate governance structure defined in a code of conduct. In corporate behavior we define our way, our vision and mission, our management pillars, our core values and last, but not least, our code of conduct. How does all of this impact on our NEW Corporate Design? Pharma Maac’s corporate design is a scheme made up of graphic elements and guiding principles that we arrange to create a distinctive and recognizable style. It is an enduring symbol of how we see ourselves and how we wish to be perceived, recognized and remembered by others. 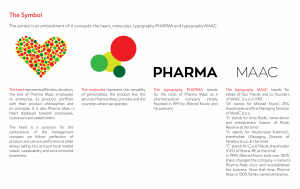 Our Logo is the combination of four concepts: the heart, molecules, typography PHARMA and typography MAAC. The rebranding process has had major consequences for our organization. Everything has been adapted in line with the organization’s new strategy and forward looking promise: the brands we choose to represent, the services we offer, our human resources policy and our approach to customers. Our rebranding makes this change visible for all stakeholders, employees, partners and customers. It has a huge impact on how we see ourselves and on how others perceive us. The new look of Pharma Maac has a huge impact in support of our philosophy and as a representation of our sustainable success. Our business has been steadily growing for years. It has become a true challenge to manage this growth and the many changes within our organization. Therefore, we have decided to invest in our infrastructure choosing Microsoft Navision to support our regionally and functionally growing organization. Microsoft Navision has had a long and successful history. It stands for stability and sustainability, which has been one of the main reasons for our selection. We started with the implementation of Microsoft Navision in our main office in Sarajevo. The next step is to integrate all members of our group (all regional subsidiaries as well as our retail business) into our Microsoft Navision solution. Makrovita is a health-food pioneer with a long retail history in Bosnia and Herzegovina. It opened in 2007 and since then has established a unique image for credibility and innovation. It is a place where health conscious people always can find something. Entering the health-food sector with a retail business meets our strategic goal to be a leading supplier of niche products. Makrovita is the best possible choice, where we can benefit from their pioneering experience and trustworthy name . Our idea is to spread a progressive and environmentally consciousness approach with our areas of operation by becoming the first retail chain of health-food stores that guarantee quality and sustainability. Pharma Maac goes international! Basically, our dreams are coming true. The first international milestone is achieved in strategic orientation to expand our activities regionally. 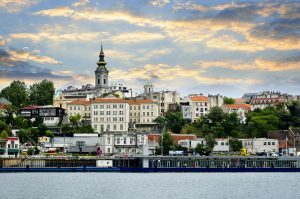 Serbia, and especially Belgrade as its capital, is full of economic potential. We take two of our brands with us (Orthomol and Medtrust) geager that additional brands soon will follow. Our idea is to underscore our market position as a supplier of niche-market high quality products. We are convinced that opening up to a new market will bring synergetic benefits to our organization as this represents an additional push towards our regional goals. Banja Luka has been developing as regional business center for years. Our large number of customers from Banja Luka and the surrounding region has been growing steadily. Therefore, it was a logical step to open a representative office in order to close the gap to our customers and become an active part of the success of this region. This decision also meets our strategic orientation to spread our regional activity. Although we typically cover niche markets, at the same time we represent global brands that, are leaders worldwide. As a result, our duty and desire is to promote and distribute them in every corner of our country. Now, with our new branch office in Banja Luka and through the power of our colleagues, we are one big step closer to our vision. The month of January, for Pharma Maac, was marked by the Weleda Skin Food campaign. 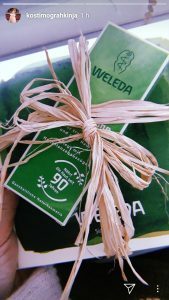 In just 15 days, 500 gifts containing Weleda Skin Food Cream and Weleda’s workbook made by our team, were packed and distributed in whole country. It was a sign that Skin Food Mania can begin. Social networks have turned into a green oasis of Skin Food creams. Hundreds of photos and hundreds of words of thanks on the Instagram and Facebook profiles of the most famous and influential personalities of our country. “The unexpected surprises are the most beautiful surprises,” said a blogger, but we think that the real surprise actually came for those who tried Skin Food cream for the first time. So they wrote again, this time a review of Skin Food Cream, and we read only words of praise. Nothing else was expected from this little green miracle.